Top carpet manufacturers in the US recommend deep cleaning every 12 to 18 months under normal conditions and more frequently for high traffic households. In fact, some suggest scheduling a routine cleaning every 3 to 4 months for busy homes with kids and pets. If the thought of thoroughly cleaning your carpet every few months isn’t enough to convince you, here are four extremely good reasons to hire a carpet cleaning professional. Trained to identify the best pretreatments, solutions and cleaning methods required to remove ground-in dirt or deep-seated stains. Familiar with different carpet construction and fiber types, which determine what cleaning compounds and methods will be most effective without causing damage. Knowledgeable about cleaning formulas and know which ones work best in which situations. Likely to have industry certifications that reflect expert training in carpet cleaning methods, restoration, mold and mildew prevention, and more. The right equipment, tools and cleaning formulas to tackle the job and do it right and well. Pretreatment and cleaning solutions that are more efficient and effective than over-the-counter formulas. Specialty treatments that resist spills and stains, protect carpet fibers, reduce cleaning demands and extend carpet lifespan. Powerful vacuums that effectively remove trapped dirt, allergens and pollutants such as animal dander, cockroach droppings, and soil contaminated with lead or petroleum. High heat systems that sanitize the carpet and kill dust mites, bugs and bacteria. Powerful extractors that remove moisture, accelerate drying time, and prevent mold and mildew growth. Neutralizers and extraction equipment that remove traces of residual cleaning solution which attract dirt and accelerate resoiling. Extend carpet longevity and protect your investment by removing dirt and grit that over time damages pile and backing. 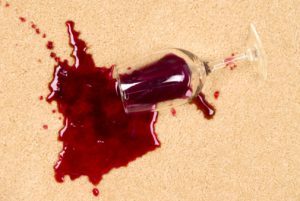 Preserve your carpet’s integrity by avoiding formulas that cause yellowing, bleaching or visible light spots. Help you avoid cleaning methods that shorten carpet lifespan, cause shrinking, stretching or matting, or invalidate the warranty. Can complete a thorough deep cleaning task efficiently and effectively, which saves you time, energy and effort. May offer a range of green cleaning methods. Often provide additional cleaning services (such as upholstery, tile and grout cleaning), which can solve some of your toughest home cleaning challenges.